Sarah Borges has spent the last decade touring, learning and transforming from Americana chanteuse to American music journeywoman. Her sound remains as eclectic as ever, representing what Borges likes to call “the sum total sound of my record collection”: a little bit twangy, some kind of cowpunk and a whole lot of hearfelt rock and roll. 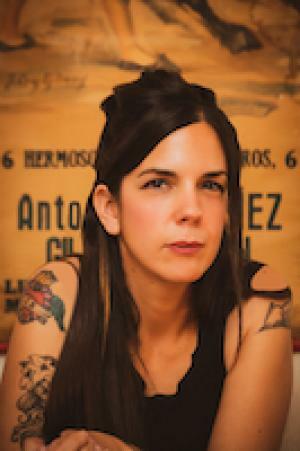 Together with her band the Broken Singles and also as a solo artist, Borges has logged some serious touring hours in almost all of the great 48 as well as in Europe. She’s been nominated for an Americana Music Award, won multiple Boston Music Awards, and has had songs featured in The Sons of Anarchy and The Night Shift. Most importantly though, Sarah Borges has earned a reputation as an immensely engaging live performer. Audience participation, storytelling and spontaneity add a unique element to a show that features stellar songs and Borges’s tough and tender voice. Coming to see the show from out of town? Please visit our friends at the Adams Mark Hotel. Please call 716-845-5100 to get a special Sportsmen’s Tavern Rate for Concert Series Ticket Holders. Please Note that the artists have a 3 hour window to complete the show. This does not meant the performance will be 3 hours in length. © 2019 ShowClix. All sales are final. Tickets are non-refundable. Want to sell tickets online? Try ShowClix for your online ticket sales.